so apearently, there are 2 (fairy tail) Dragon's. The other one (the one that isnt me) was created 1st. However, My account has about 130 wins to his 5 rated wins. My experience is higher too. I am asking you, the member of this clan, to decide who should keep their account. 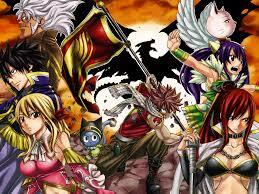 There is (Fairy Tail) Dragon (me), and then there is (Fairy Tail)Dragon, Please descide who should stay as dragon. In my opinion both of you should just keep the account you already have, unless the other Dragon wants to change accounts. IN my opinion you are both dragon.